James Degale celebrated the start of what he hopes will be a new chapter in his career with a hard-fought points win over Hadillah Mohoumadi to retain his European super middleweight title. 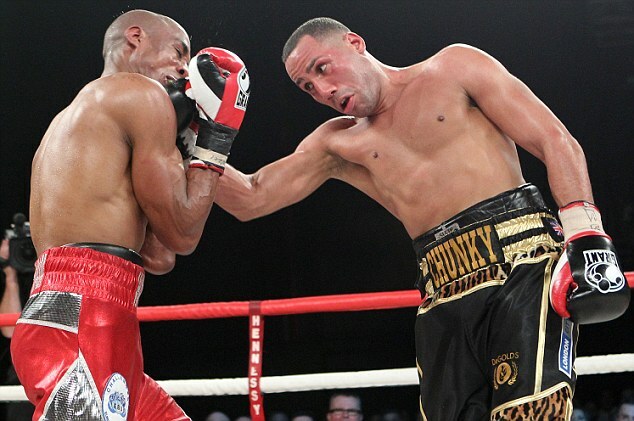 On a night when Britain's only other Olympic gold medallist in the professional ranks was sent crashing to the canvas in Liverpool, Degale made no such mistake in front of a raucous crowd in Kent. The 26-year-old was fighting on home soil for the first time in 12 months and looked impressive in flashes against his French opponent in what was his debut under new promoter Mick Hennessy. A tentative opening round was punctuated by single shots from both men but Degale landed the more telling blows and started to find his timing towards the end of the stanza with some penetrating combinations. The former British champion, whose only defeat came at the hands of bitter rival George Groves, also had the better of the second round. Degale raced out of his corner in the third and landed a flurry of blows that looked to have Mohoumadi in trouble. But the 32-year-old had never previously been stopped and withstood the barrage. 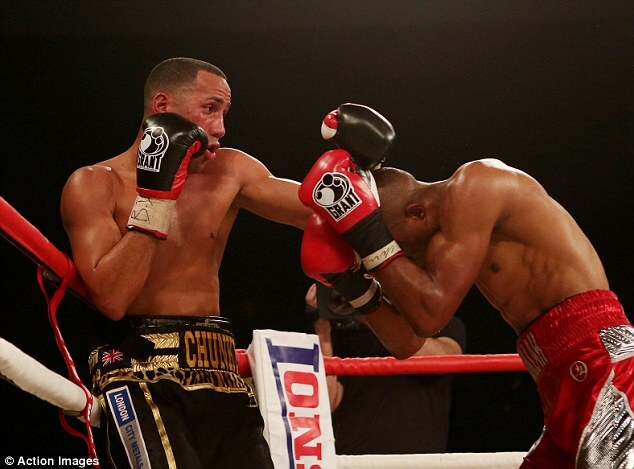 Despite his dominance, Degale allowed himself to be backed up against the ropes too often, trading unnecessarily. He was still landing the more eye catching shots however against an opponent who was nothing if not durable. Degale landed a crunching left hand in the fifth round that rocked Mohoumadi's head back but again he showed he was teak tough. Into the sixth session and Degale, whose face had reddened, appeared at times to be feeling the pace in what was his first outing since April. The champion remained the dominant force in the opening exchanges of round seven however and caught Mohoumadi flush several times with powerful left hands. By now the rounds were following a familiar pattern with the home favourite landing more effectively but without the cutting edge needed to end the contest early. The expectant crowd were on their feet on more than one occasion but were left with nothing to celebrate. Mohoumadi had by now earned Degale's respect and rather than surrender, he instead maintained an impressive work rate and had even opened a small cut around Degale's left eye by the penultimate round. The pair traded blows in a barnstorming final stanza despite Degale needing just to reach the final bell to retain his title. He did just that, winning by unanimous decision as the judges scored the contest 119-109, 117-111 and 116-112.